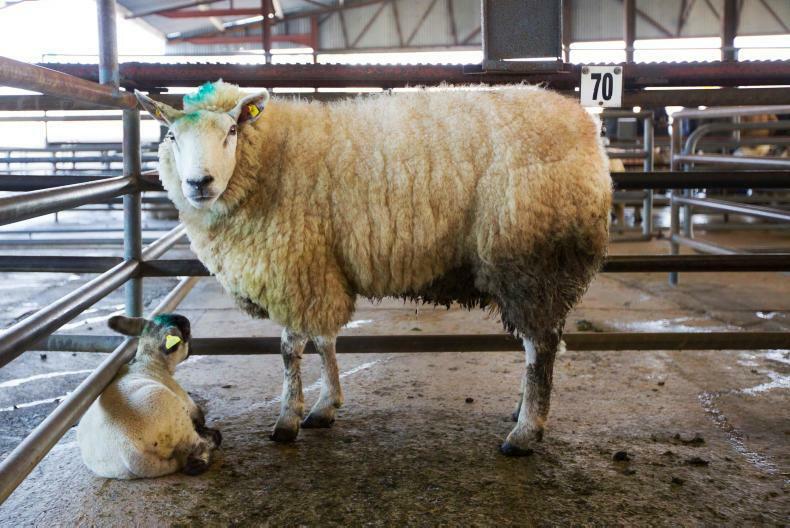 We look at the upcoming 50th anniversary open day, which is being organised at Ballyjamesduff Mart on Thursday 6 December. 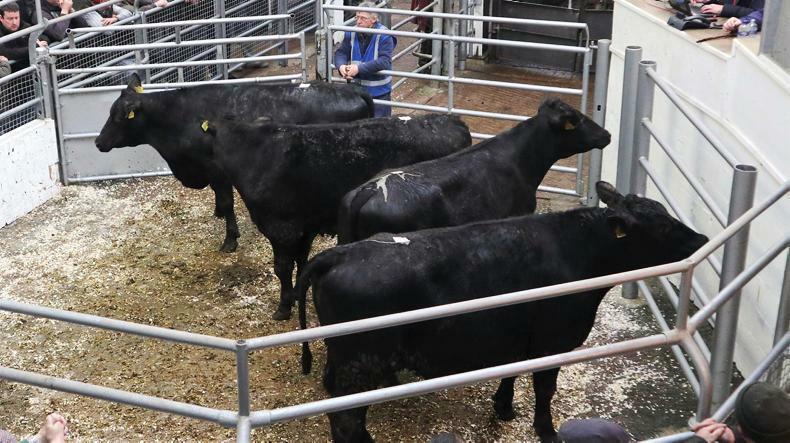 Demand for good-quality Angus and Hereford store bullocks remains on par with other springs, but poorer-quality stock are really feeling the pinch as finishers are more cautious about what they purchase. 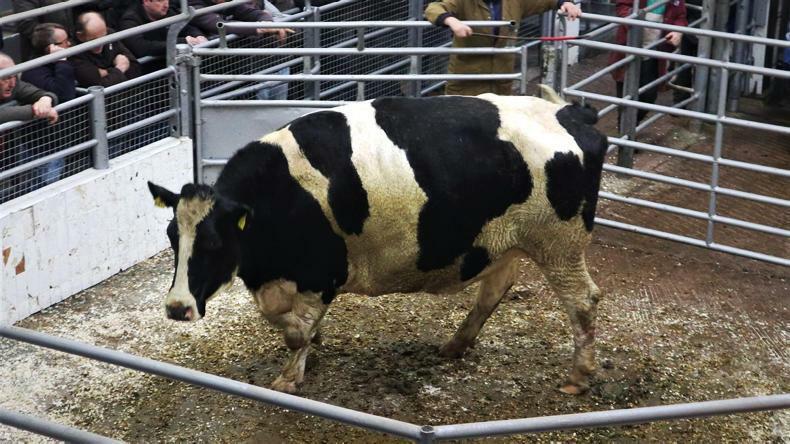 This good-quality February 2016-born Friesian bullock weighed 690kg and sold for €1,090 (€1.58/kg). 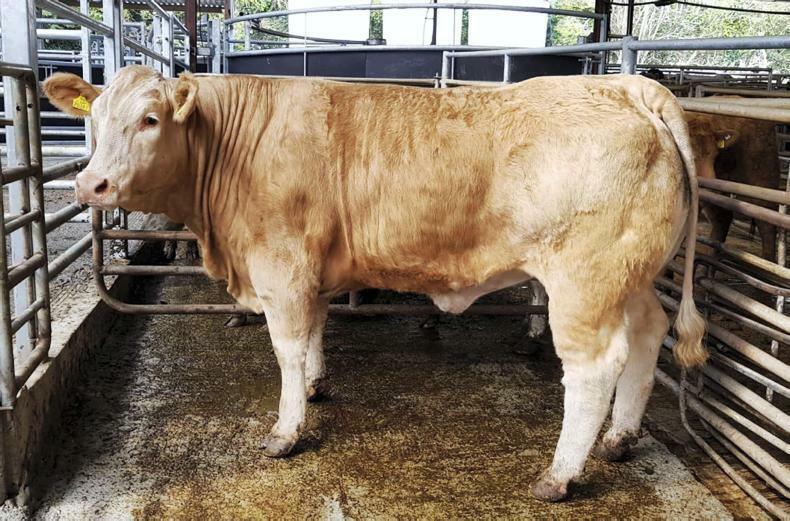 These yearling Limousin bullocks born in March 2018 weighed 448kg and sold for €960 (€2.14/kg). 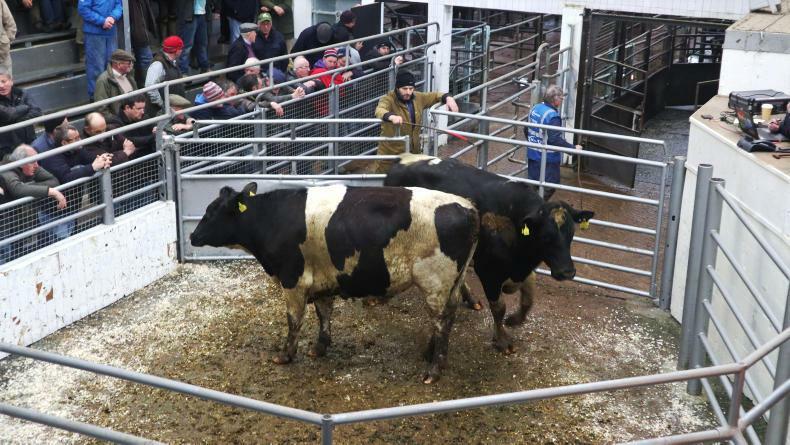 These July 2016-born Friesian bullocks weighed 682kg and made €1,090 (€1.60/kg). 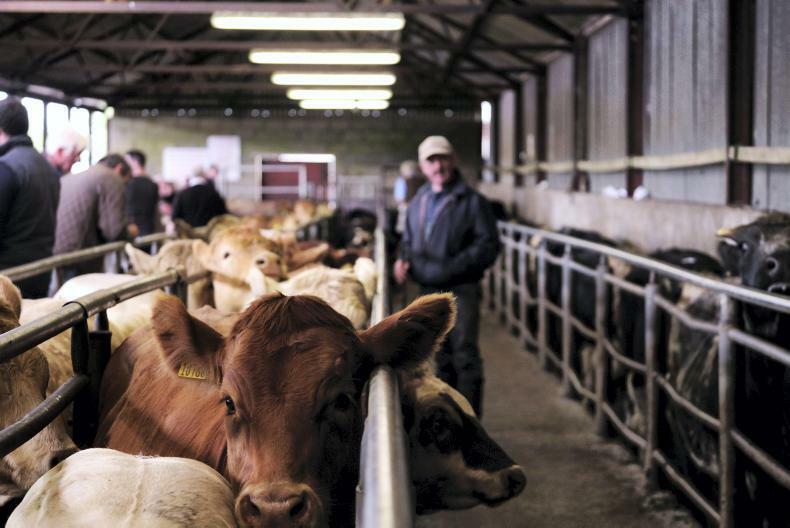 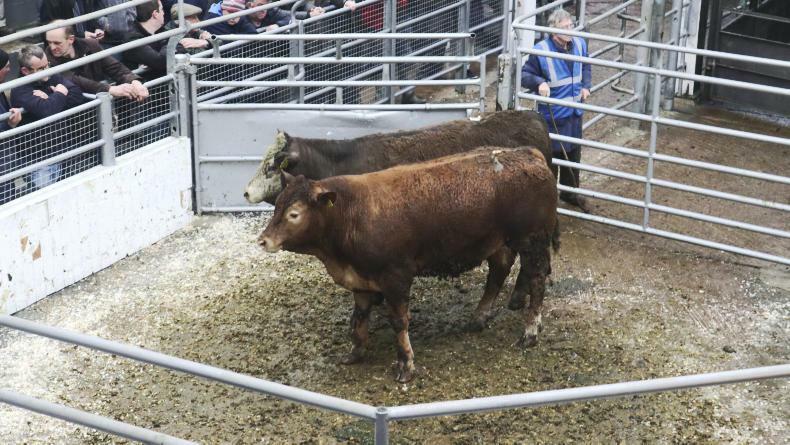 These April 2017-born bullocks weighed 636kg and sold for €1,270 (€2/kg). 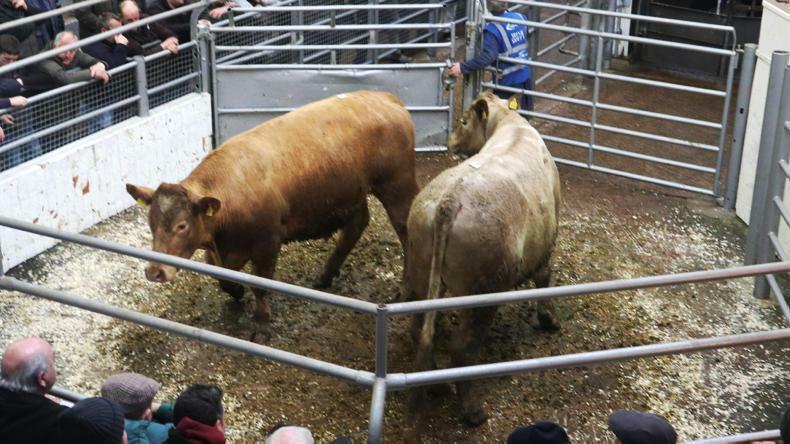 This pair of Charolais bullocks born in April 2017 weighed 730kg and sold for €1,390 (€1.90/kg). 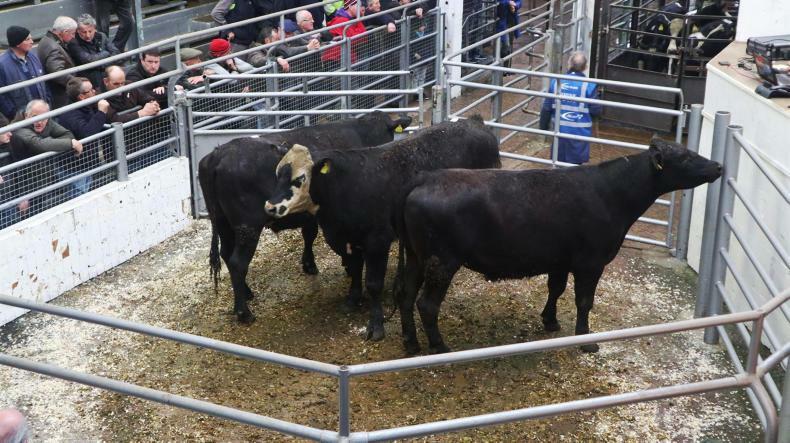 This pen of nice-quality Angus bullocks born March 2017 weighed 521kg and sold for €1,030 (€1.98/kg). 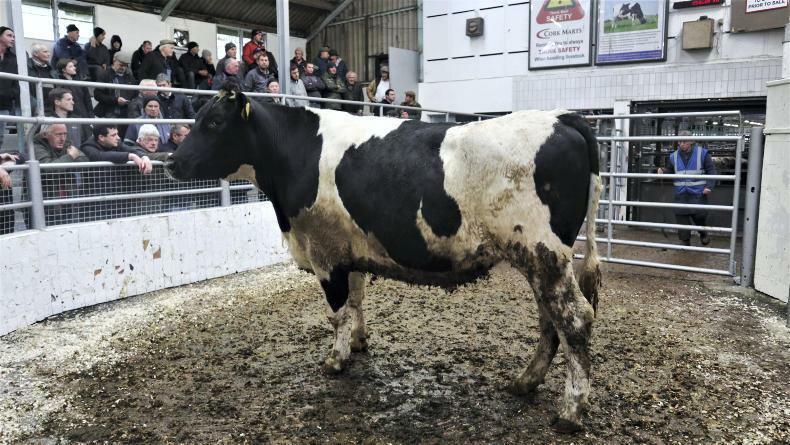 This aged Friesian bullock born in May 2011and weighing 1,080kg sold for €1,650 (€1.53/kg).